The best Valentine's party games are ones that everyone has fun playing. Choose the games based on whether you will need games for kids, adults or for large groups of all ages. There are even a variety of games that are romantic in nature. There are many unique party games for your guests to enjoy that have a festive Valentine's Day or heart themes. Keep in mind that just because you are hosting a Valentine's Day party, it does not mean the entire party needs to revolve around the romantic notions associated with the holiday. Instead, you can come up with some fun games that are sure to make everyone's heart pound with happiness as each person enjoys the fellowship. 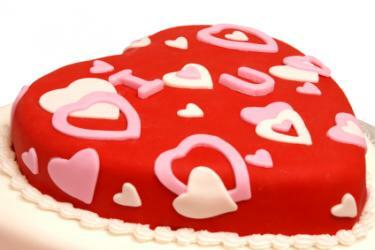 Bake cakes in heart shaped pans. After cooling, flip the cake out of the pan and place a small chocolate candy at the bottom of the pan. Without using their hands, guests must eat through the cake to find the piece of candy. The first person to find the candy is the winner. For a messier version, consider serving spaghetti on a heart-shaped platter with a large meatball hidden amongst the sauce and noodles. Rules for Hide the Heart are simple enough that anyone can play this game. 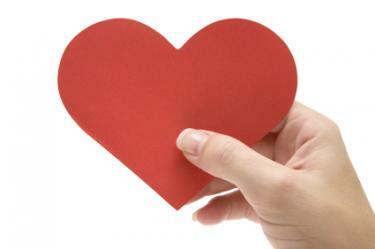 Have one person hide a large stuffed heart somewhere in a room, while everyone else steps into another area of the house. The first person to find the heart gets to hide it for the next round. My Secret Valentine is a great holiday party icebreaker for a group who does not know one another well. Before the party, write out small index cards with five statements about a particular person. As guests enter the party, hand them a card. They must then find their "secret" Valentine by chatting with everyone, to find out whose card they have. While this game does not have winners or losers, it does get everyone chatting. Another great party icebreaker is Mend a Broken Heart. Before the party begins, cut hearts in half using jagged and zigzagged lines. Do not make any two alike. Give each guest half of a heart upon their arrival. Each guest must then find the other half of his/her heart amongst the rest of the party guests. Divide guests into two or more teams. Each team needs to find something in the room that starts with each letter of Valentine's Day. Once the team has found their items, inform them they need to write an original Valentine's Day poem using each of the items they gathered in their poem. You can have the guests write the poems individually or as a group. Then, read them aloud to everyone for some big group laughs. 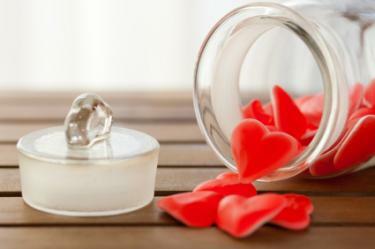 Use your favorite valentine candy to fill a glass container. Small red candy hearts, M&Ms or conversation hearts are all good options for this game. Pass the container around the party and have guests write down how many candies they think are in the container. The person who guesses the closest wins and gets to take the candy home. Valentine's Day can also be all about romance. 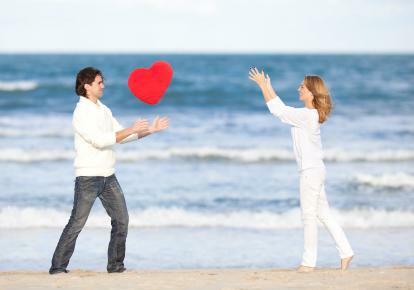 Couples can enjoy playing a variety of games that will strengthen their bond of love as well as provide entertainment. Before couples arrive, write down some phrases that are relevant to love on strips of paper. This can include titles of books, movies and songs. Use a heart shaped box to place the slips of paper in and give each couple a chance to act out their choice. Divide people into teams of two to play this fun game. This games requires people to be grouped into teams of two. One person from the team will wear lipstick. A bell will ring and a timer will be set for 60 seconds. During that time, the person wearing lipstick will kiss the other as many times as possible on the cheek. Once the timer stops, kisses will be counted according to lip marks on the cheeks. The team with the most kisses will be the winner. Keep youngsters busy by planning simple indoor party games that will keep them occupied while the adults prepare the food and other activities. Quick activities like a Valentine's Day word scramble or word challenge (making new words out of the letters in Valentine's Day) are fun and easy games. Both young and old will enjoy playing Valentine's Day bingo games, which can be found free online. Another great Valentine's party game for everyone to play is a version of telephone tree. Come up with a special Valentine's Day message to give someone across the room, and then tell the person next to you. Kids and adults will love the hilarious results of this fun game. If the weather cooperates, try playing some outdoor party games. Have a relay race, handing off a paper heart to the next person. Consider setting up an obstacle course in the shape of a heart. Finally, play "capture the heart," a modified version of capture the flag. There are a wide mix of fun games that can played for Valentine's Day. Whether you are around a group of close friends or with your someone special, games are entertaining and a great way to pass the time.